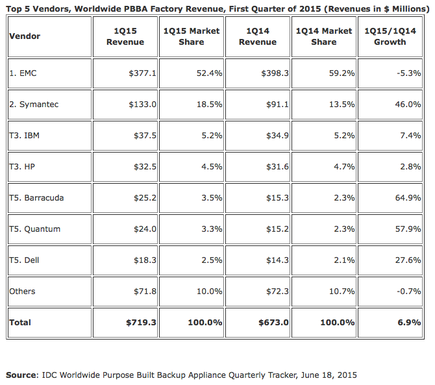 Worldwide purpose-built backup appliance (PBBA) factory revenues grew 6.9 per cent year over year totalling $719.3 million in the first quarter of 2015 (1Q15), according to the International Data Corporation (IDC) Worldwide Quarterly Purpose-Built Backup Appliance Tracker. Total PBBA open systems factory revenue increased 7.2 per cent year over year in 1Q15 with revenues totalling $651.0 million while the mainframe market experienced a growth of 4.1 per cent for the same period. Total worldwide PBBA capacity shipped for 1Q15 reached 647 petabytes, an increase of 32.3 per cent year over year. “The worldwide PBBA market got off to a strong start in 2015 with solid year-over-year revenue growth in the historically slower first quarter," says Liz Conner, Research Manager, Storage Systems, IDC. 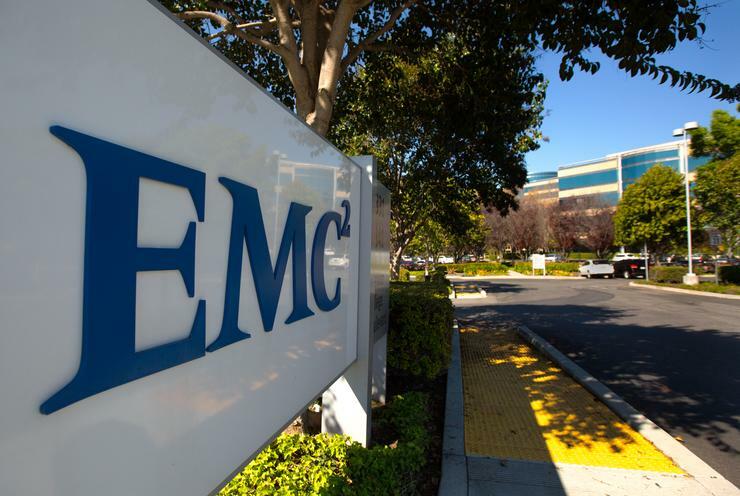 EMC maintained its lead in the overall PBBA market with 52.4 per cent revenue share in the first quarter, followed by Symantec with 18.5 per cent share. IBM and HP tied for third, posting 5.2 per cent and 4.5 per cent market share, respectively while Barracuda, Quantum, and Dell finished the quarter in a three-way tie for the number 5 position with 3.5 per cent, 3.3 per cent, and 2.5 per cent market share, respectively. 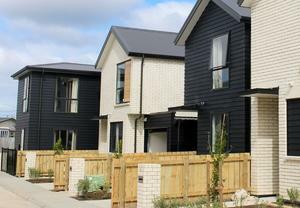 Read more HP split imminent, but will it be a clean break?